Online navigation always offers up-to-date maps and traffic information with people. This saves storage space, and you do not have to plan ahead in which countries and areas you are traveling. Unfortunately, there are some disadvantages when you are abroad. High data consumption can quickly lead to high costs, or you may get stuck in the visiting place with poor reception or dead spots that make you quickly put a stop to the bill. Yet the truth is that a GPS is still a GPS and it always works on your iPhone as long as the service has been activated, even if not having an Internet connection. A practical alternative for this are the offline Navigation Apps. Whether you travel by car, public transport, bike or on foot, it is possible for us to find any place quickly, even when we do not have an Internet connection, thanks to the excellent offline maps apps we have on our iPhone, which help us move around, showing us the route and locating us efficiently. GPS with offline navigation apps do a great job on iPhone. 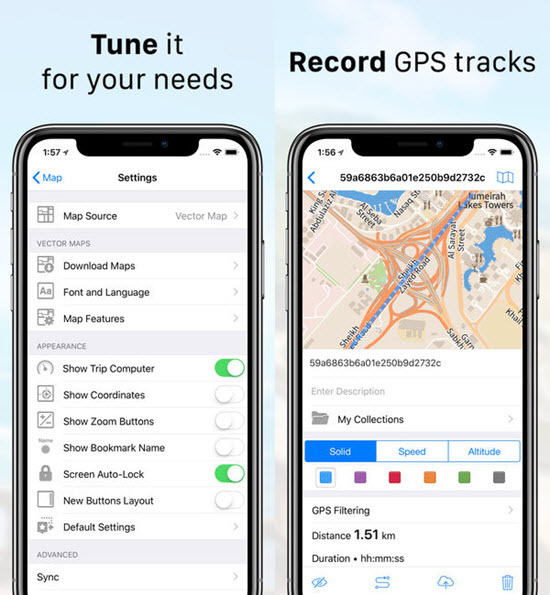 Among abundant map apps on iOS App Store, today we want to present a selection of the best GPS navigation apps without any cost to use on your iPhone or iPad, which you can take advantage of to reach your destination. Tips: If you accidentally lost photos or videos taken in travel on iPhone or iPad, Gihosoft iPhone Data Recovery always helps you get back those precious memories to solve your regret. Google Maps is the most recognized navigation app for iPhone and iPad in all over the world. It can also be used without an internet connection even when you are traveling or in a place with bad connection. The app features step-by-step navigation distance and time of arrival, faster access to alternative routes, information of total time on foot in the results of public transport and an option to compare the route options more easily. This app presents detailed maps in 220 countries and territories, and is also able to offer public transport time schedules and maps for more than 15,000 cities. Besides, Google Maps is compatible with many languages including English, Chinese (Hong Kong), Czech, Danish, Finnish, Dutch, Croatian, Catalan, German, French, Arabic, etc. 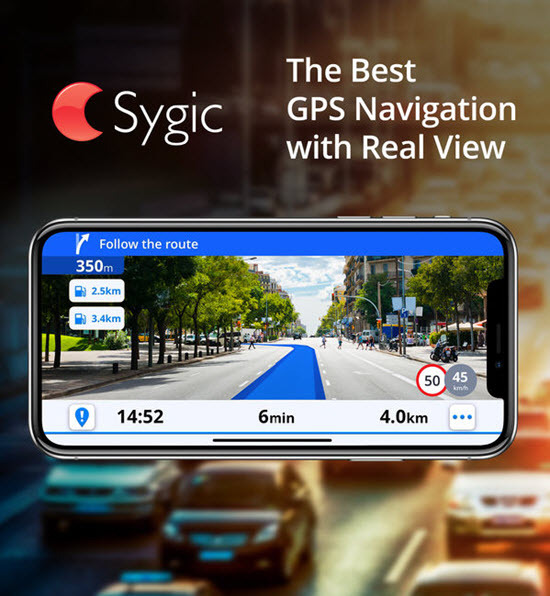 Sygic employs TomTom maps to give users a superbly designed 3D offline maps and robust navigation features to guide you during your tour. It is an simple app with a clear and hassle-free design available for IOS devices. It offers GPS, and shows traffic routes that allows planning routes inside a city. This app has a customizable navigation screen, voice instructions and speed limits services. All the major regions are included in the app to give users the best experience. Maps.me allows you to access very detailed maps and directions of routes anywhere in the world without the necessity of an Internet connection. You can download maps that you require by zooming in on the area of your interest in advance. The great advantage of this app is that it gives us the option of finding sites where they provide specific services such as hotels, museums, pharmacies, restaurants, ATMs, etc. which is very useful for any traveler especially in an unfamiliar place. 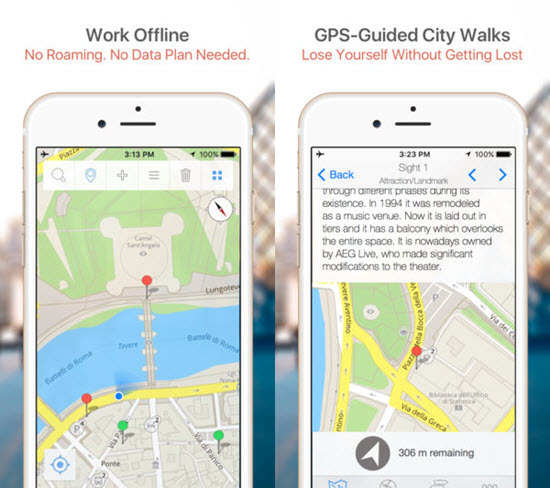 This is another free application with GPS that gives you map directions offline. To use this just turn on your GPS in your iPhone so that it will detect your location automatically, and you can then reach your place with the directions given by the offline maps. The graphic layout is easy to understand because you can tag out points of interest as icons. By just creating an account in this app you can access maps with indications in different languages: Spanish, German, French, English and Italian. In Galileo Offline Maps there is no concept of downloading maps, it only works on a cache. You need to open the app with the network connection and zoom on the area of your interest, and it gets cached for offline use. This app particularly aimed for hikers, cyclists among other outdoor activities, which indicates all routes, and other pedestrian paths. What is most striking are the options to monitor speed and distance in real time. Pocket Earth gives you access to the detailed OpenStreetMap, which can be downloaded for offline use, for individual cities, regions, and entire countries. It also integrates travel and location information to provides route planning. 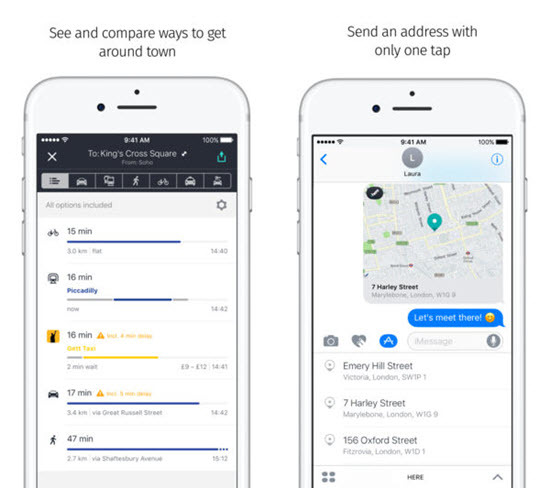 This app covers transportation like car, bike and footpaths. The app can also record, export and import routes as a GPX file for example. The localities shown on the maps can also be customized according to the activity, such as hiking and biking. 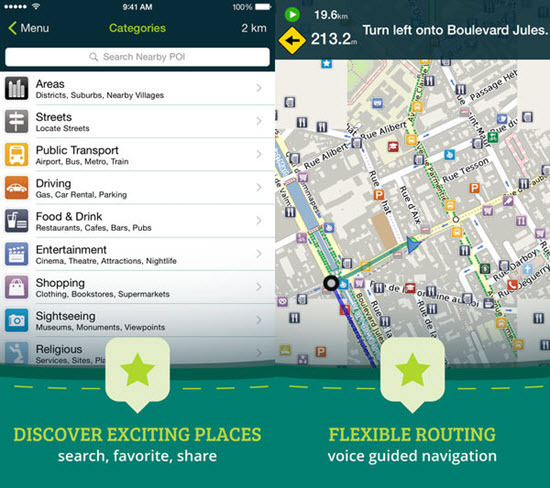 HERE WeGo allows you to obtain maps from all places in the world for download. You can choose between states, countries or even continents. Its Favorites collections give you control of your favorite places. When driving, you will be warned if you are speeding too fast. Although, you can’t use features such as current traffic information without network connection. Even if your maps are available offline, you can optionally enable traffic feature on your iPhone that will show congestion and alternative routes when the internet connection is active. If you are not traveling by car, but on foot, by bicycle or by other public transportation, it will always be at your side in time of need. Houses are displayed in 3D, large buildings even with detailed textures. TrailLink is defined as the best trail search app for all outdoor activity enthusiasts. The information is indeed not misleading, with more than 30,000 miles of multi-purpose trails, thousands of trail descriptions, reviews, photos and detailed trail maps. It is the only map app for hiking and cycling you need on your iPhone. Sadly, offline maps will cost you $ 1.99 for 3 maps, $ 3.99 for 7 maps or $ 7.99 for 15 maps. 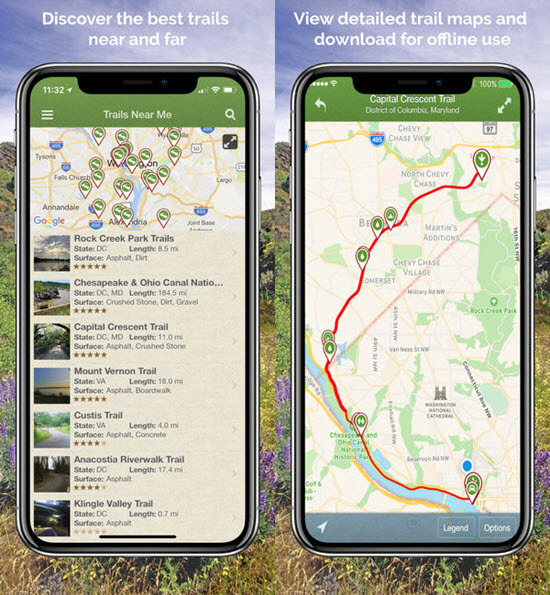 If you are a cyclist or hiker, you can also buy 12 months of unlimited downloads of offline maps for $ 29.99. Walking is obviously the best way to explore a city and learn its secrets and charms. 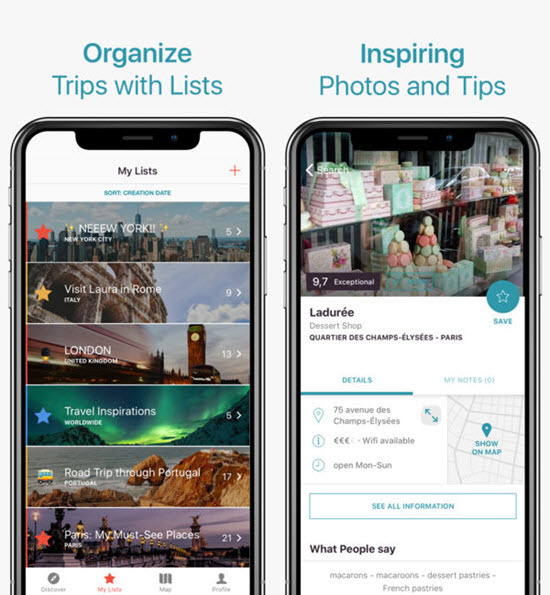 The GPSmyCity app lets you comfortably access thousands of travel articles written by travel bloggers and locals around the globe. With just a few steps, you can compose a self-guided walking tour and use the navigation step-by-step of the app to guide from one point to another. 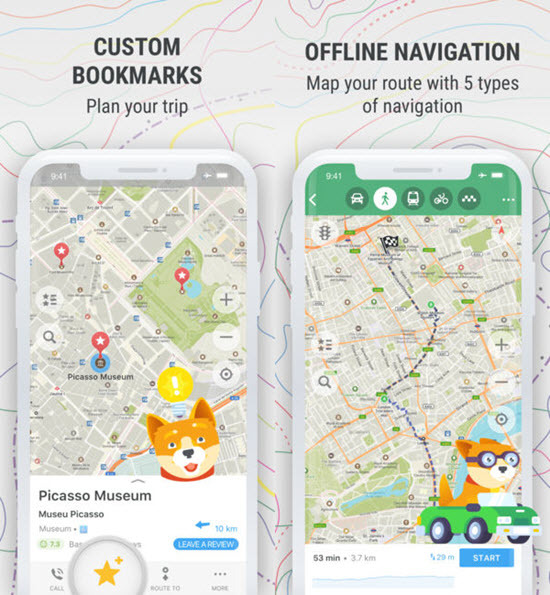 This app permits you to download maps to view them offline when you have no internet connection, and additionally it tells you the routes taking into account if you travel by car or bike. OpenMaps PRO is also meant for trekkers, hikers, and mountain bikers. It shows you all the trails, roads, slopes, restaurant and other famous places, including functions to register your GPS routes and mark your favorite sites. This app offers very detailed maps of all the countries and real-time service from the OpenStreetMap project and assigns route colors for different altitudes. There are tons of navigation map apps that designed particularly according to people’s need. From the free to the paid options, all have their positive and negative points. Whatever you choose, the important thing is to have a navigation app installed on our iPhone even available offline that can take us out of trouble on many occasions, especially when we do not know the city we visited. Travel the world without worries and leave your fears behind. Use the offline navigation maps on your iOS device and make your trip a memorable experience. Ever traveling in a foreign place with these maps? Welcome to share your trip with us in the comment below.